Matthew started baseball practice a few weeks ago, but he has YET to have a nice day for practice. 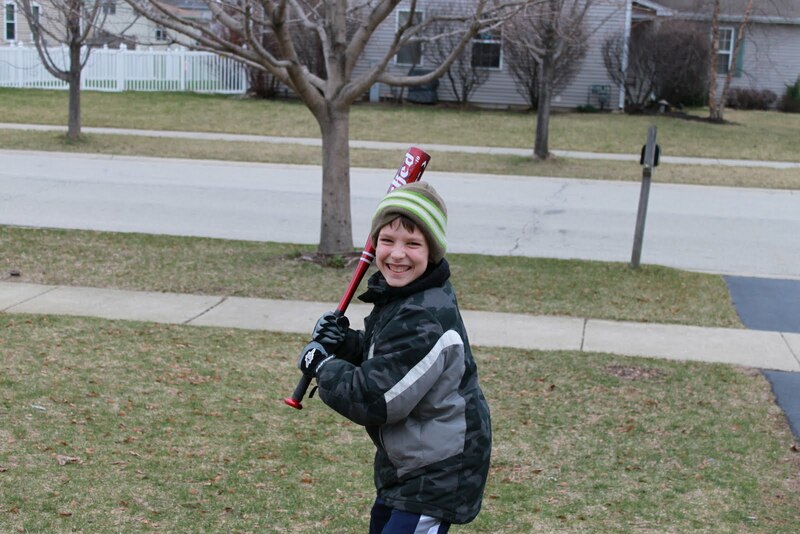 It is painful to try to hit a baseball when it’s 30 degrees and you have to wear a coat, hat and gloves! Regardless of the weather, he is super excited about playing on a baseball team for the first time.